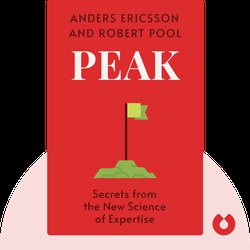 Peak (2016) is your guide to achieving expertise through regular practice. Counter to the general perception that natural ability plays a large part in determining performance, these blinks show you that just about anyone can acquire specialized skills if they practice hard and correctly. Anders Ericsson is a professor of psychology and Conradi Eminent Scholar at Florida State University. His work has been cited in bestselling books Moonwalking with Einstein and How Children Succeed. 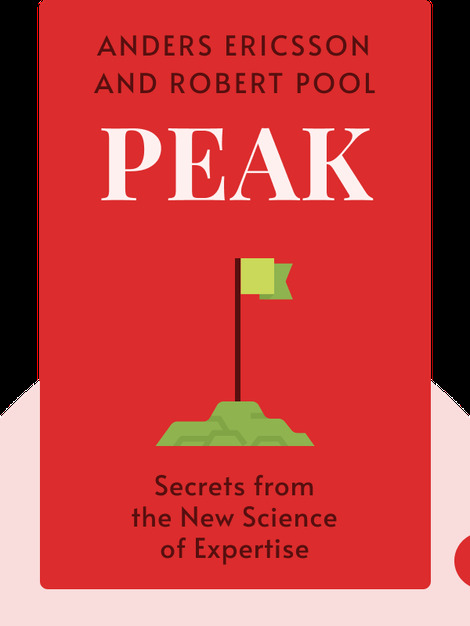 Robert Pool is a science writer with a PhD in mathematics from Rice University. He has worked as a writer and editor for science magazines such as Nature and Science, among other publications.